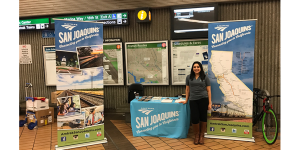 The San Joaquin Rail Service has grown to the fifth busiest intercity passenger rail service in the nation, carrying about 1.2 million passengers a year with seven daily round trips (five between Oakland and Bakersfield and two between Sacramento and Bakersfield). Projections show even greater ridership in the years to come. This growth and a renewed interest in commuter rail service presents the opportunity to increase awareness of rail as a safe, comfortable, stress-free and sustainable way to get around. 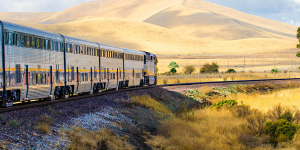 Most current Amtrak riders take the train for leisure trips, as a way to avoid the hassle of taking freeways in order to relax and enjoy their travel experience. 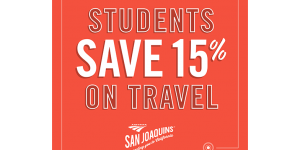 New marketing opportunities include attracting more business travelers to use the train. This is ideal for productivity – the train has free wifi, comfortable seats, and table space to get work done on the go. The trains also feature bike racks for those biking to and from the train. Circlepoint is executing an integrated grassroots marketing campaign for the Bay Area portion of the project. Our work includes identifying and forging relationships with key stakeholders throughout this region, including major businesses, chambers of commerce, visitors bureaus, transit advocates, and local and regional elected officials. 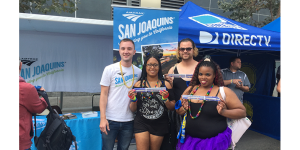 Through partnerships and presentations, we are building a coalition of supporters to increase ridership and revenue for the Amtrak San Joaquin in the most cost-effective ways possible. 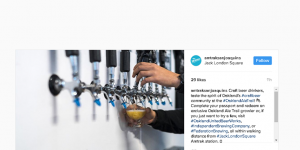 We also attend local events, assist with the creation of brochures and other collateral, and create graphics and messaging for the social media campaign for our region.